The cost of fabric in Germany is one of my biggest pet peeves. The average price for a metre (little over a yard) runs between 17 and 25 €uro (22 to 33 US$) . This limits my fabric shopping significantly. So naturally, when my boyfriend got the news to attend a work conference in the Washington, the first thing I said to him was “Bring me fabric pretty please! 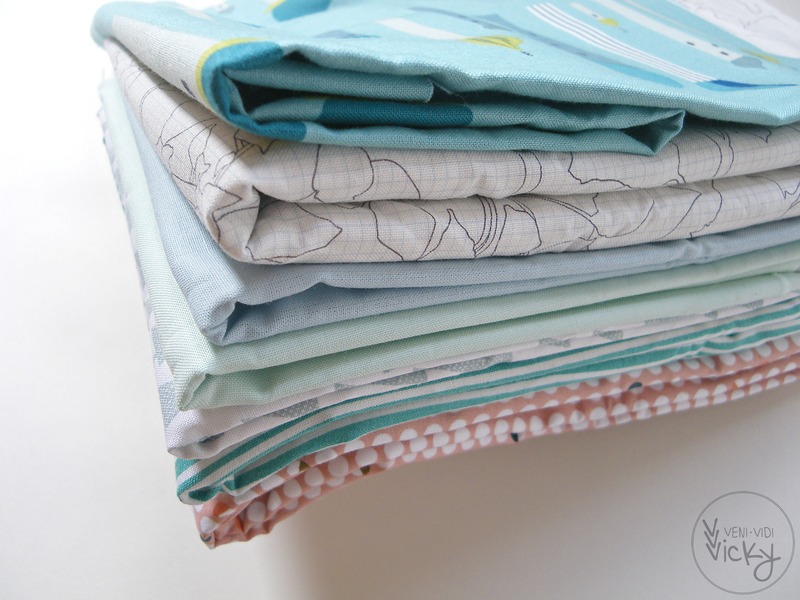 ?” Sending him to DC quilt shops would have been asking for too much, so I went on an online shopping spree and had the parcels shipped to his hotel. Over the weekend I fetched him and the fabric from the airport. I’m happy to have them home. I might have gone a little overboard with my purchases, but if the opportunity to buy fabric at 1/2 to 1/3 of your usual cost had presented itself to you, what else would you have done? 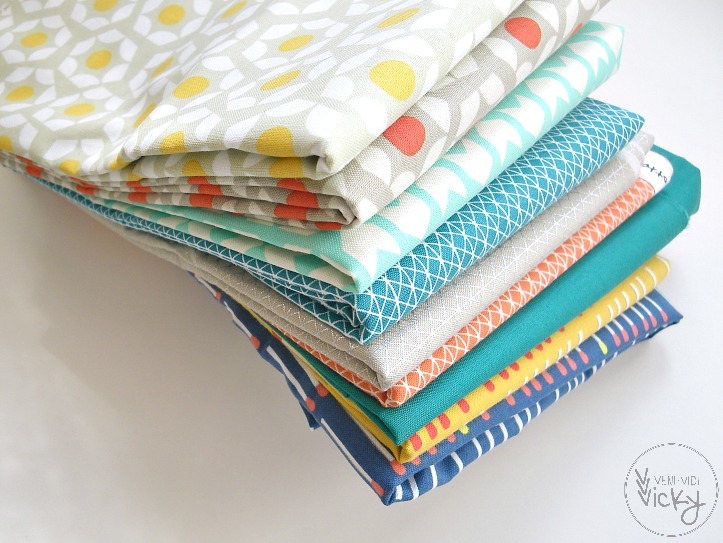 I’m not a huge fan of fabric bundles or purchasing whole lines by a designer. 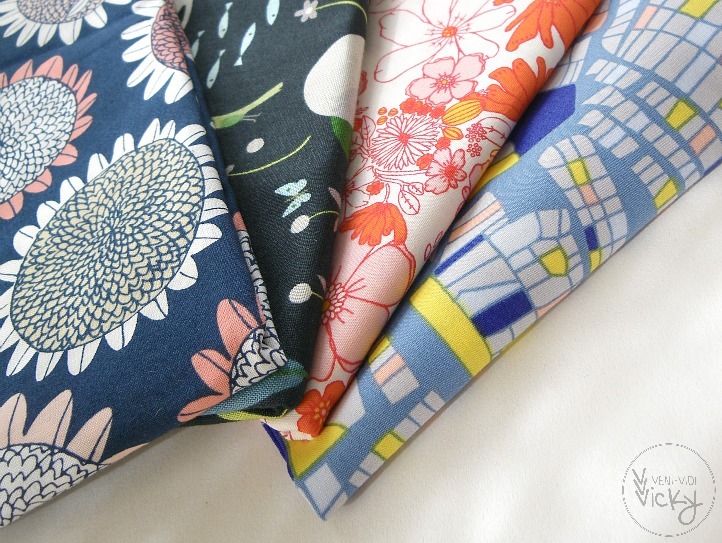 There are certainly some collections I’d love to own as a whole, but I prefer to buy my very favourite fabrics by the yard. I often find a fat quarter to be gone too fast. 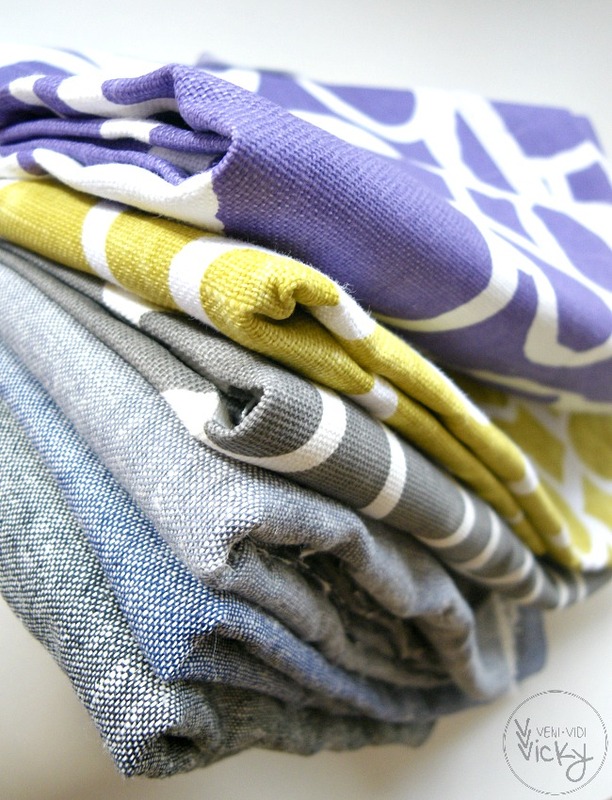 I’m a strong believer in solids and blenders, I definitely stocked up on them with my fabric.com purchase. Then I added in some prints I really love, including two Lean Duncan prints and a Lizzy House one I got from hawthornethreads.com. 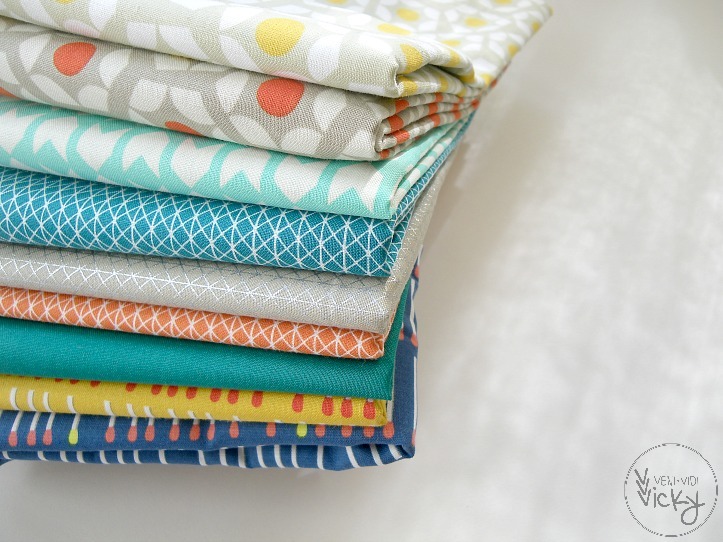 I am in LOVE with Cotton & Steel, seriously, it’s the best. I wanted to get every print so it was hard to select just a few. The basic line is so versatile and I already thought up a hundred projects I will use those in. Hues of light blue, aqua and petrol are probably my favourite colour range. I had no intention to make this a bundle when I ordered, but now I think they work great together! 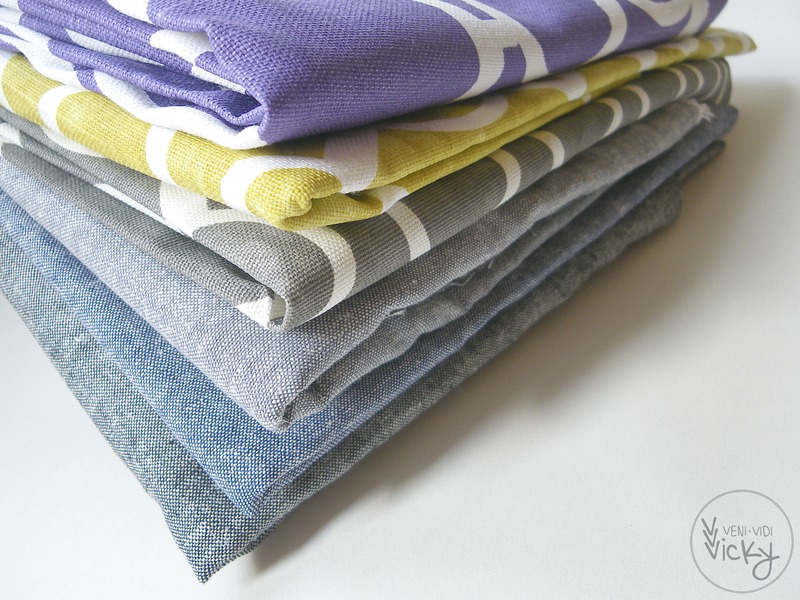 I managed to grab some Essex Linen fabric, I can’t wait to try them out as an alternative to solids. The top three prints (not Essex Linen) are a bit heavier in weight. I didn’t know this beforehand, but I think they will come in handy for bag sewing or pretty much anything that is supposed to be a little sturdier. I’m putting myself on a fabric diet now, this should last me awhile. I plan to make quilted Christmas gifts for my family this year, so I basically got most of my Christmas spendings covered with this, too. Yay! I love the Leah Duncan and Lizzy House prints together. I am going to pin those as project inspiration for later. 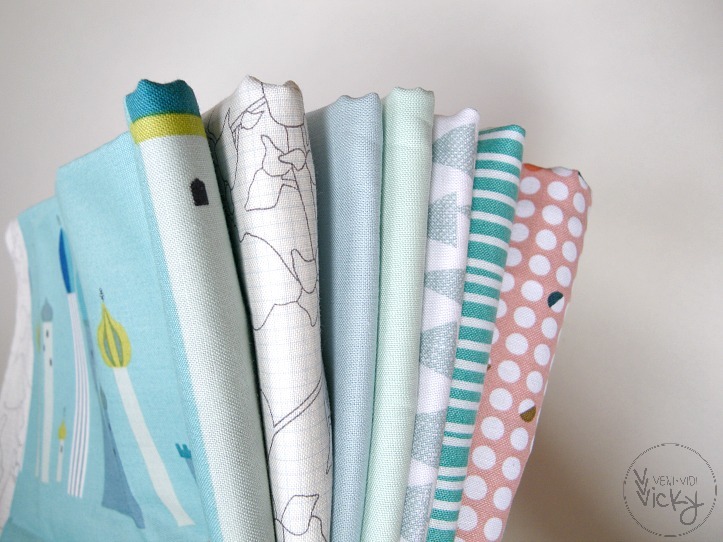 I think you made some really lovely selections that you will enjoy through several projects! Wow, beautiful photos of fantastic eye candy! Looking forward to seeing what you make with it!